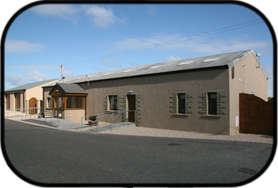 Our new Funeral Home in Shore Street Lossiemouth, opened on March 27th 2010. The impressive new building incorporates a large Service Room, three viewing rooms, a furnished family room, an office, men’s and ladies’ toilets, and a disabled toilet with baby-changing facilities. At the rear of the building is a large car park, while there is also a large example of headstones and coffins at the location. Our facility caters for individual needs. If people want a church service we will happily arrange that, but the Service Room gives us a new dimension – the service is still dignified and respectful, but outwith a church setting. It could be non-denominational, or humanist, or conducted by the family. 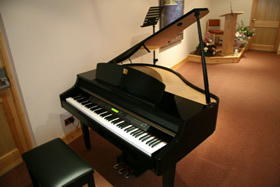 Music is provided through the state-of-the-art Yamaha Clavinova piano. 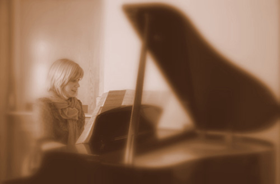 While similar in style to an acoustic piano, a Clavinova has many features of a digital piano and can be used to save and load songs.